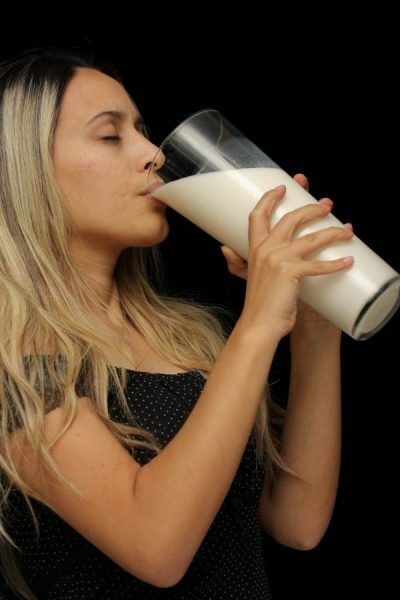 The Calcium Conundrum: how do you know you’re getting enough? No, we quietly engage in our daily routine to increase calcium and build bones, and once it is downed – either in diet or tablet form – we relax, thinking we’ve done our bit. But once calcium is ingested, it faces a convoluted journey to useful absorption, which can be affected by many different things. Surprisingly, calcium is the most abundant mineral in your body; it actually makes up around 2 percent of your body weight. So what does it do, that it is so pervasive? • Firstly, it is essential for overall health nutrition. It helps to prevent disease and it is key for the absorption of other vital nutrients. • The bulk of calcium in the body goes to keeping teeth and bones strong, and generally supporting the overall skeletal structure and movement. • It plays key roles in cell signalling, blood clotting, muscle contraction and nerve function. • It can activate certain enzymes, transport ions across the cellular membrane, and send and receive neurotransmitters during communication with other cells. • It helps to maintain a regular heartbeat, because it acts as an electrolyte, helping to conduct electricity in the body, a function that keeps your heart beating. • It affects how you absorb and use other nutrients such as iron, zinc and magnesium. That is why absorption of calcium should be balanced with adequate intake of these other minerals. • Calcium may decrease the risk for colorectal cancer and can lower systolic blood pressure in individuals with high blood pressure. • It has proven beneficial in combatting the disease of osteoporosis as long as a lifelong diet with added calcium is maintained. • Weight loss has also been noticed in high calcium diets. However, one must be wary, because consuming too much calcium – particularly in the form of supplements – can lead to constipation and kidney stones. A healthy intake is around 1000 -1200 milligrams per day (from food or food plus supplements) dependent on your general health, and if you are currently on any medication, check with your doctor because this may adversely affect your calcium absorption rate. • Contrary to what we like to believe, calcium is one of the hardest minerals to absorb from the diet. Some estimates put the non-absorption rate as high as 80. Different calcium salts yield different amounts of bio-available calcium ( the amount of calcium that is truly absorbed by your body. • Different foods can affect the absorption of calcium – specifically foods that are high in oxalic acid, such as spinach, chard and chocolate. Phytic acid, which is found in whole-grain foods and high-fibre foods, effects calcium absorption the same way. Calcium needs an acid environment for absorption and calcium carbonate supplements should be taken with of after meals. You need stomach acid to split the calcium from the carbonate in order to absorb the calcium. Age distinctly affects the absorption of calcium. Apart from the natural decline brought about by old age, older people may not have easy access to information on supplementary calcium, may suffer a poorer diet, or be unable to get out and shop for themselves. People older than 50 should be getting +/-1,200 mg daily. • But the biggest stumbling block to the absorption of calcium is the lack of Vitamin D – without it, your body cannot absorb calcium. One to two hours a day in sunlight (during the non-dangerous times and without sunblock!) can only benefit your calcium uptake. • Likewise, be careful of excess caffeine, alcohol and sodium which can all affect calcium absorption adversely – or on the other hand, increase the excretion of calcium from your body, which is also not helpful. • Phosphorus is tricky because we need it for optimal health. However, too much of it (ie: in soft drinks) can lead to loss of calcium through the urine. And any loss of calcium can lead to bones losing their quota to compensate. This can be a contributing factor to osteoporosis. • Pregnancy has a substantial effect on the absorption of calcium. Pregnant women tend to lose all their vitamins and minerals to the growing baby. Any food, particularly calcium will be taken by the baby first. It is therefore vital during this time that the mother receives supplements – at least 1,000 mgs of calcium per day. • Stress and hydrochloric acid can affect the uptake of calcium because HCL is needed for absorption of calcium in the duodenum where it is actively taken from food and into the body through the intestinal wall and into the bloodstream. Stress can have a negative effect on this process, producing too much HCL at times which can affect the job the duodenum is supposed to be doing. For strong bones, you also need to keep your cool. Eat right, keep calm – and love your bones!